Brand USA, the destination marketing organization for the United States, has a mission to increase incremental international visitation to the United States. They plan to do just that in a new campaign, by inspiring travel and destination discovery by transporting people on a sound journey around the U.S. with just a pair of headphones. 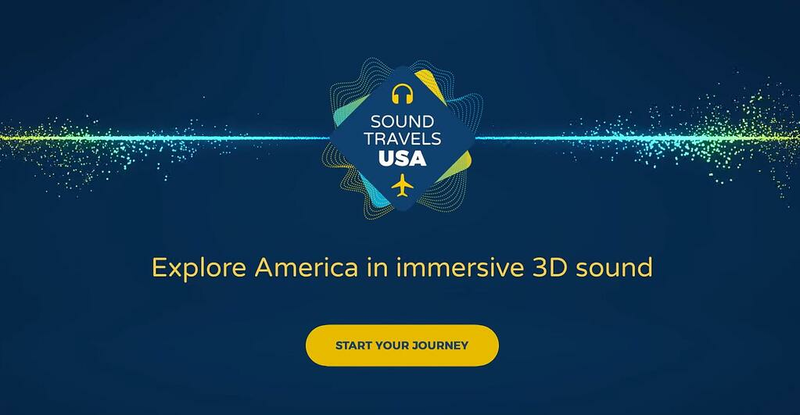 Today, in collaboration with Brand USA, we launched a bespoke, that brings the vibrancy and diversity of the U.S. to life through immersive 3D audio experiences, and inspires potential travelers to explore, plan and book a trip to the dynamic destination. As a part of a multi-year partnership, this launch is a pilot program in four markets including Canada, Australia, Mexico and the United Kingdom. “Sound Travels,” is our first integrated marketing campaign utilizing 3D audio, which will change the way international travelers discover the wide variety of destinations and experiences available in the U.S. Sound Travels is part of a two-year campaign to promote international travel to the U.S. The focus on sound aligns with Brand USA’s new IMAX Film, “America’s Musical Journey,” which explores America’s history through the lens of music and sound. 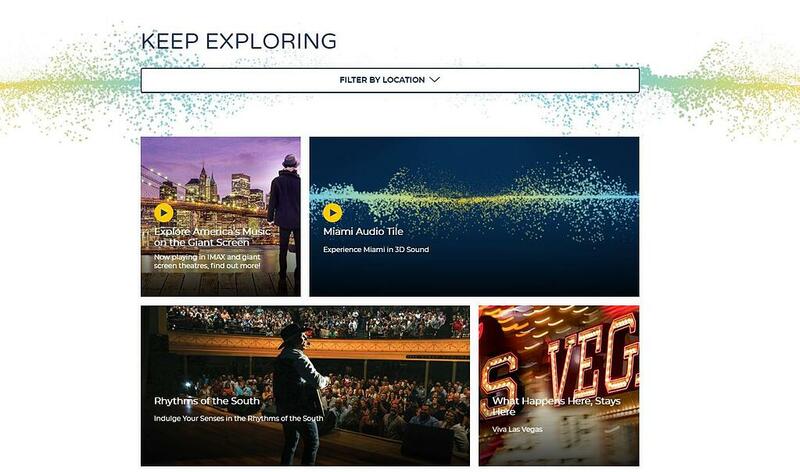 On the hub, users can immerse themselves in the unique, compelling sounds of various locations and activities waiting to be experienced in the U.S., including Austin, Chicago, Las Vegas, Miami and more. Visitors are prompted to connect their headphones – no special equipment required – and select their preferred auditory experience. While the selected 3D audio clip plays, an on-screen animation dissolves into a first-person point of view photo, revealing the selected experience and allowing users to also visualize themselves in the experience they’re hearing. After listening to their selected sounds, visitors are presented with custom travel recommendations based on their personal sound and activity preferences. Visitors can also explore additional destination content on the hub, including editorial-style articles, photos, suggested itineraries and special deals and promotions, and filter their preferences by 3D audio playlists or locations. To support Brand USA’s objective of increased engagement and international visitation, the bespoke campaign hub also features an integrated booking widget to help potential travelers move from inspiration to exploration to booking. Running through June 30, 2018, the digital campaign functions seamlessly on mobile and desktop devices, and targets consumers in Australia, Canada, Mexico and the United Kingdom with display advertising reaching verified travelers on Expedia, and social media content. Co-branded TV spots, airing in Mexico through August 31, 2018, will explore Austin, Chicago, Las Vegas and Miami through the lens of sound and music.